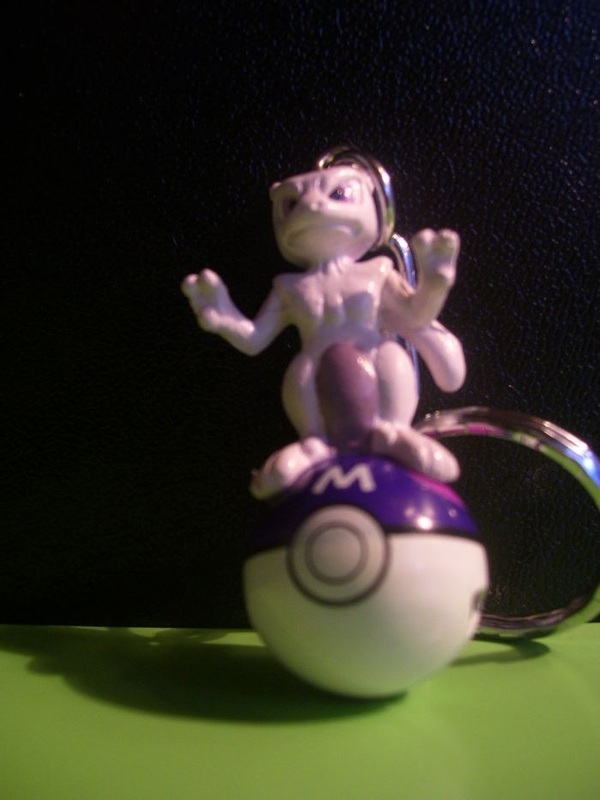 While this site has quite a number of items of varying values - including some of the most sought-after pieces of Mewtwo memorabilia in existence, it doesn't have everything. That might just be where you come in! I'm looking for a few things to round out the collection and a couple to possibly be new centerpieces of it. If you have any of these items and are looking to either get paid or make a trade, I'd love to hear from you! These are what I'm looking for most of all. Money will most likely not be an issue with any of them. These guys are probably the most expensive set of Mewtwo cards in existence. 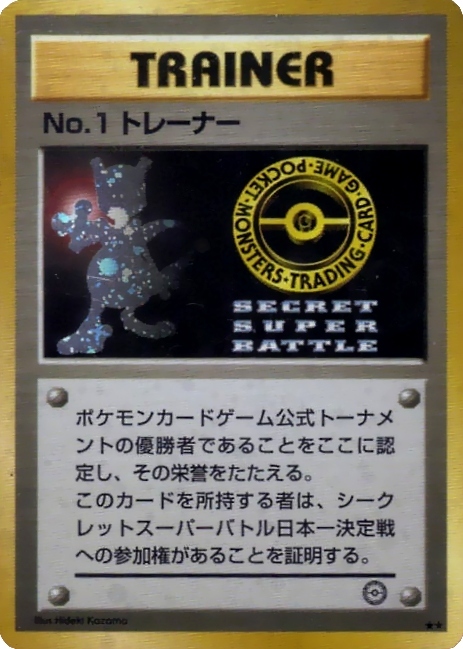 There are 3 of them, appropriately numbered, for the people who finished 1st, 2nd, and 3rd in the 1999 Secret Super Battle tournament in Japan. The last time I saw the full set change hands, it was for $4,000, $3,000, and $2,000 respectively. 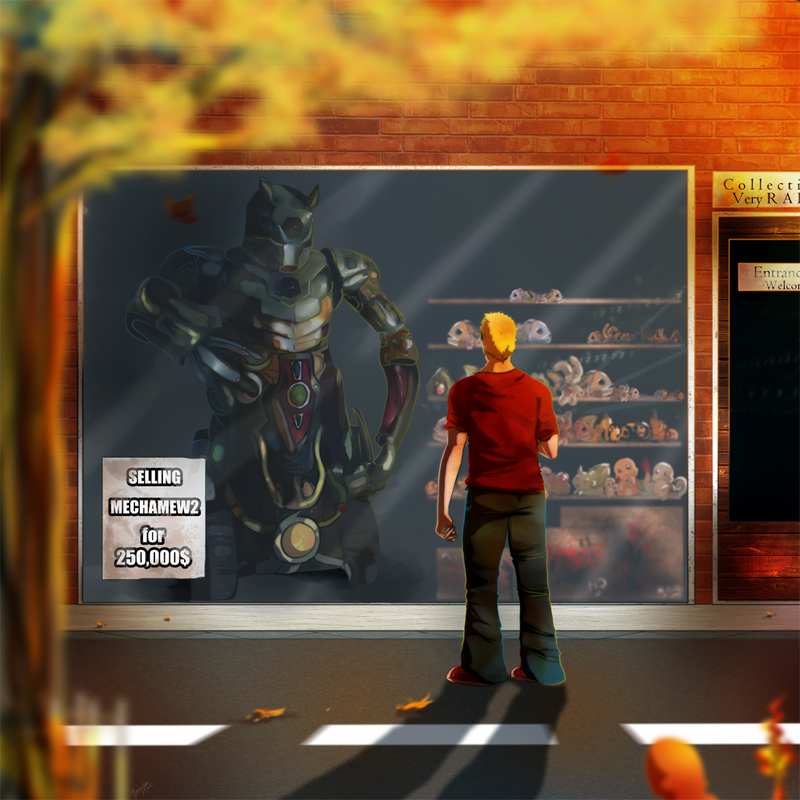 I hope to make these the pinnacle of my collection someday - that is, if I'm not able to somehow come into ownership of the six-figure valued MechaMew2 from the Pokemon Live! stage show. So if anyone out there happens to own oen or more of these and for one reason or another is moving out of TCG collecting, please let me know - I'd love to work out a deal with you. The since-retired Pokemon Battrio game was played in Japanese arcades. The pucks interacted with the game, allowing players to control the depicted Pokemon in a battle. Later versions of the arcade game would allow you to capture new Pokemon and it would dispense the pucks as prizes. 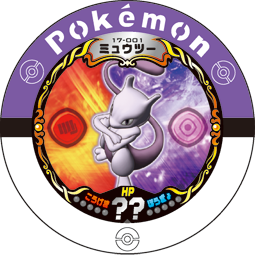 There are a total of 8 Mewtwo Battrio pucks, to my knowledge. I have 5 of them, listed in with the coins section. The other 3 are noted here. Mewtwo has gained access to Aura Sphere with this Battrio. 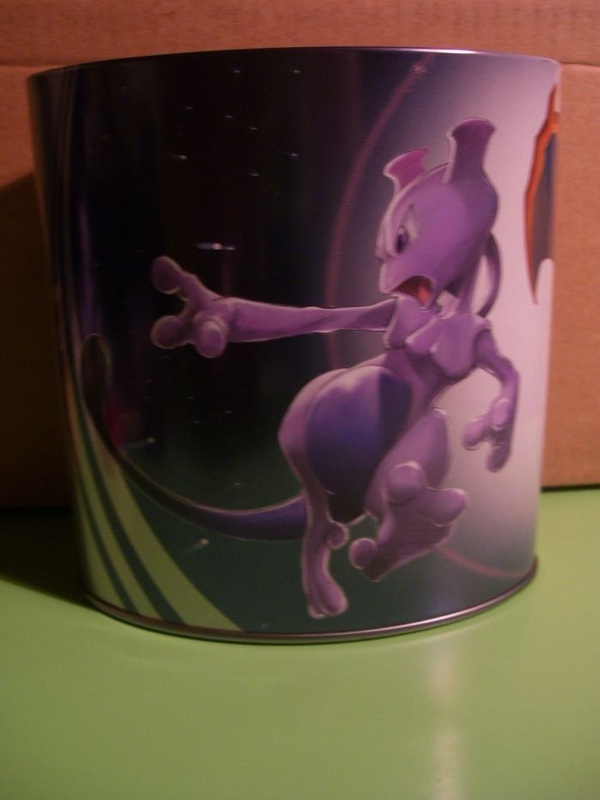 Mewtwo's one and only promotionial Battrio item. The one other high-priority item that isn't a Battrio - it uses the same artwork as one of the pencilboards in my Stationery section. 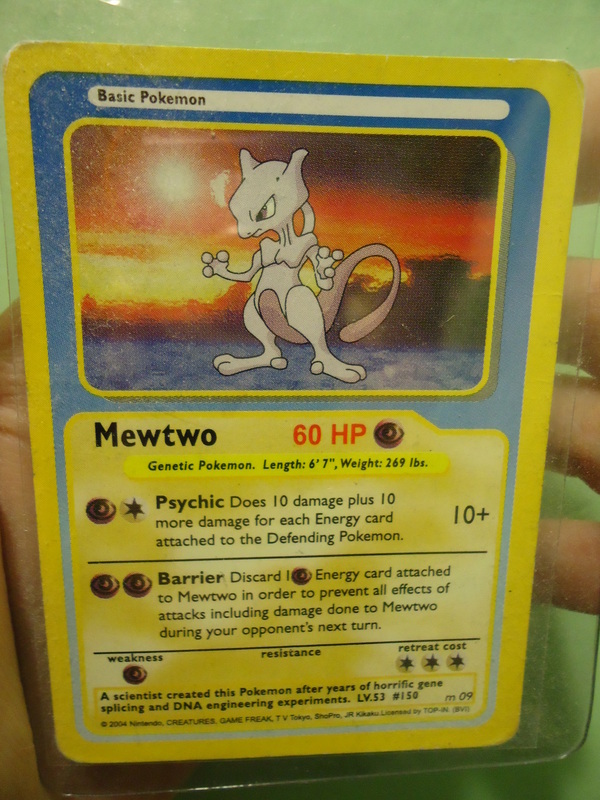 Mewtwohavoka happened to come across one of these, and it's a little-known legal and licensed card. 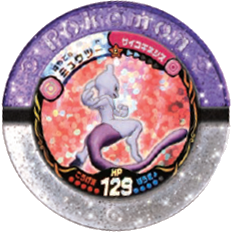 Shame it's one of the poor versions unlike promo #3 or Mewtwo EX. 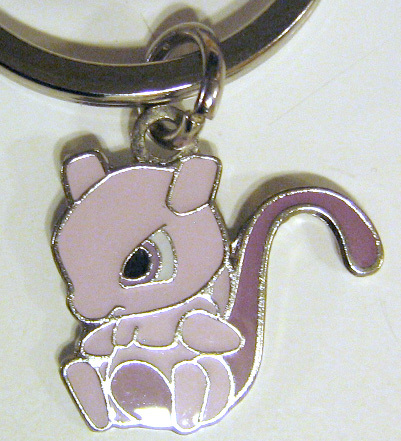 This keychain has received a re-release, so it's just a matter of time before I find a cheap one. I'm still interested in buying things that aren't on this list - if you have something I don't have on the site, I'd still be opening to buying or trading for it. Hit up the "Contact me" link and let's make a deal!